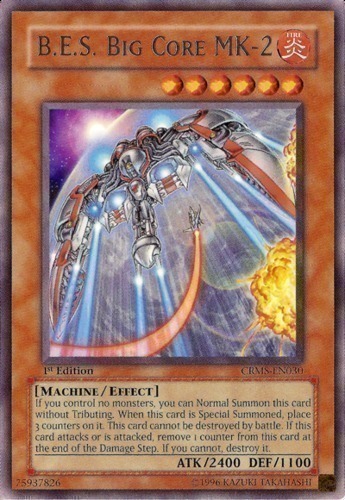 Once per turn, you can either: Target 1 LIGHT Machine monster you control; equip this card to that target, OR: Unequip this card and Special Summon it. 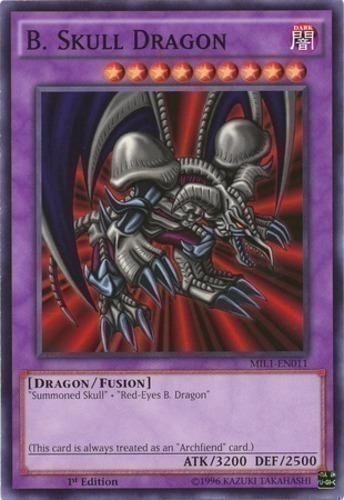 A monster equipped with this card is unaffected by your opponent's Spell effects, also if the equipped monster would be destroyed by battle or card effect, destroy this card instead. 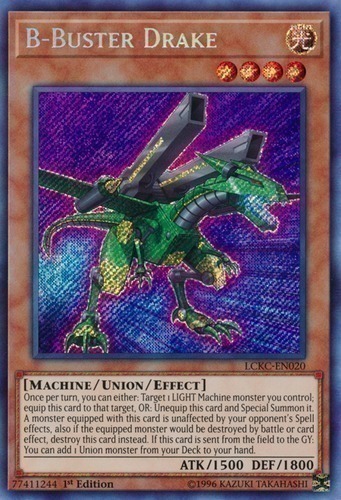 If this card is sent from the field to the GY: You can add 1 Union monster from your Deck to your hand. 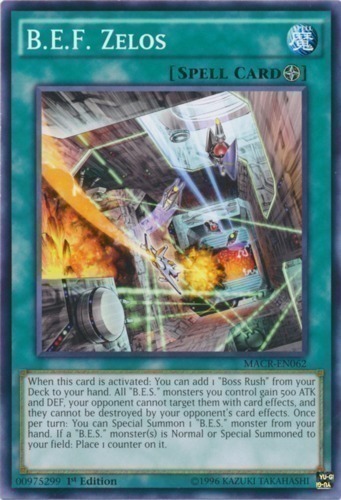 When this card is activated: You can add 1 "Boss Rush" from your Deck to your hand. All "B.E.S." 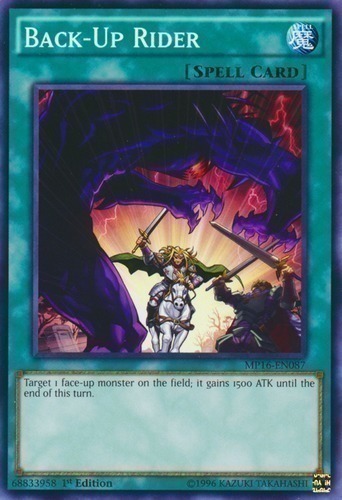 monsters you control gain 500 ATK and DEF, your opponent cannot target them with card effects, and they cannot be destroyed by your opponent's card effects. Once per turn: You can Special Summon 1 "B.E.S." monster from your hand. If a "B.E.S." 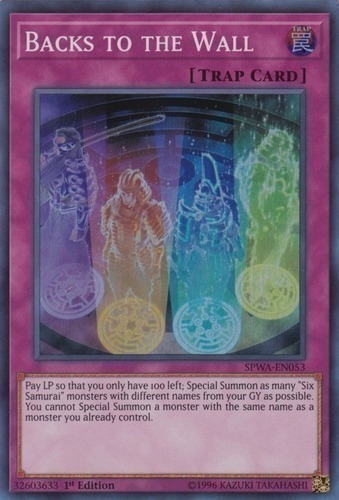 monster(s) is Normal or Special Summoned to your field: Place 1 counter on it. If this card is Normal Summoned: Place 3 counters on it. Cannot be destroyed by battle. 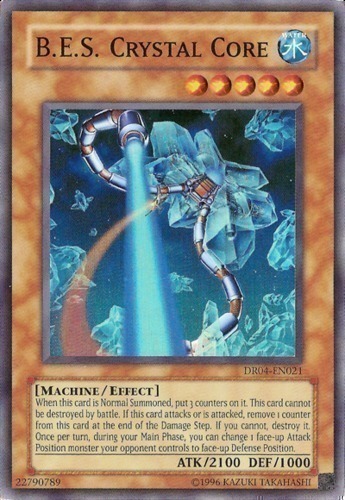 At the end of the Damage Step, if this card battled: Remove 1 counter from this card. If you cannot, destroy it. 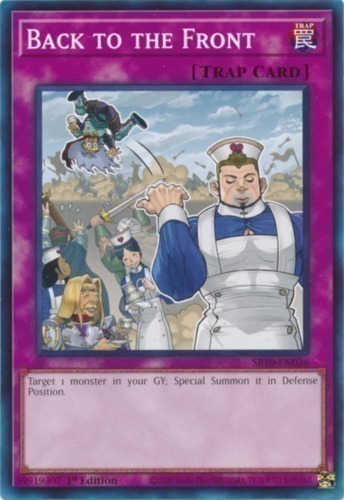 If your opponent controls a monster and you control no monsters, you can Special Summon this card (from your hand) in Defense Position. 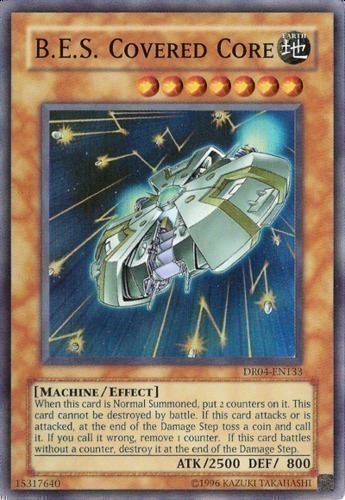 If this card is Normal or Special Summoned: Place 3 counters on this card. Cannot be destroyed by battle. 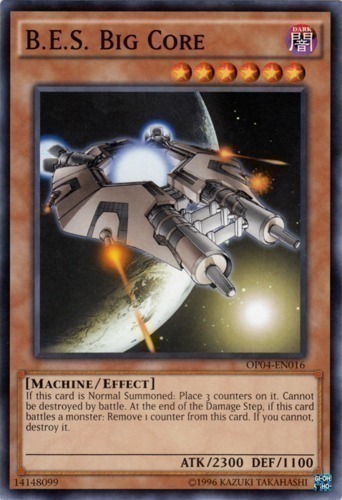 At the end of the Damage Step, if this card battled: Remove 1 counter from this card. If you cannot, destroy it. 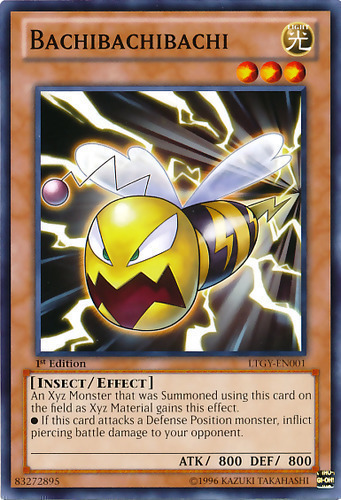 You can banish this card from your Graveyard; shuffle all "B.E.S." monsters from your Graveyard into the Deck. 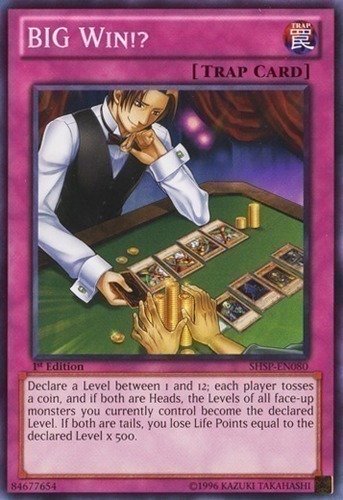 Declare a Level between 1 and 12; each player tosses a coin, and if both are Heads, the Levels of all face-up monsters you currently control become the declared Level. If both are tails, you lose Life Points equal to the declared Level x 500. 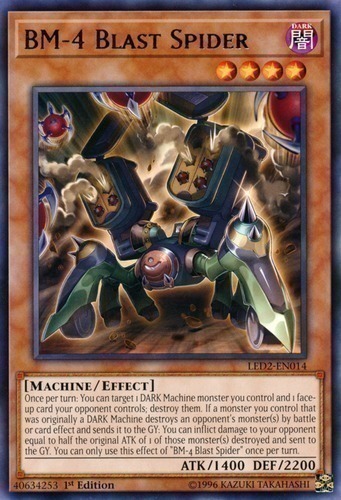 Once per turn: You can target 1 DARK Machine monster you control and 1 face-up card your opponent controls; destroy them. 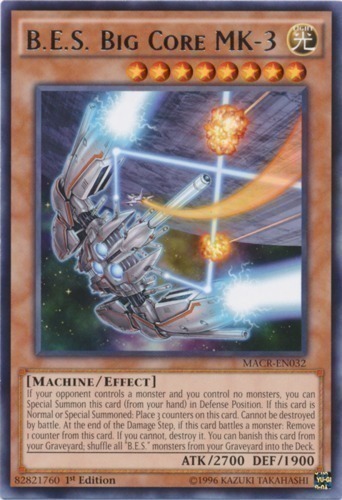 If a monster you control that was originally a DARK Machine destroys an opponent's monster(s) by battle or card effect and sends it to the GY: You can inflict damage to your opponent equal to half the original ATK of 1 of those monster(s) destroyed and sent to the GY. 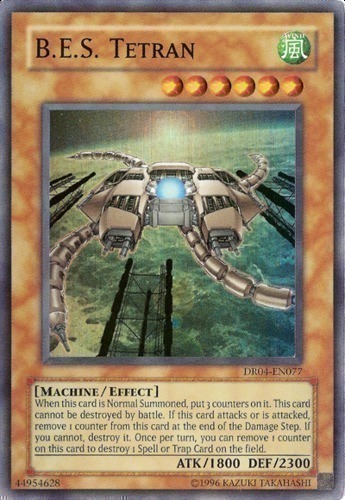 You can only use this effect of "BM-4 Blast Spider" once per turn. 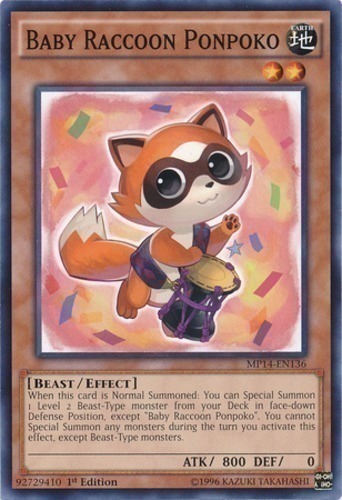 When this card is Normal Summoned: You can Special Summon 1 Level 2 Beast-Type monster from your Deck in face-down Defense Position, except "Baby Raccoon Ponpoko". 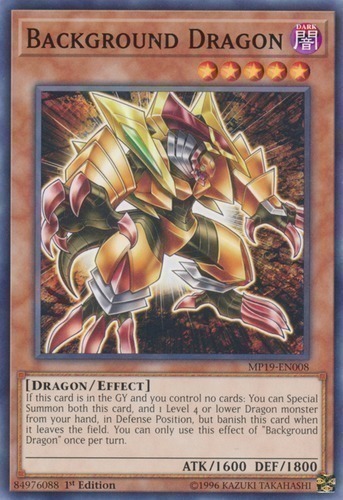 You cannot Special Summon any monsters during the turn you activate this effect, except Beast-Type monsters. 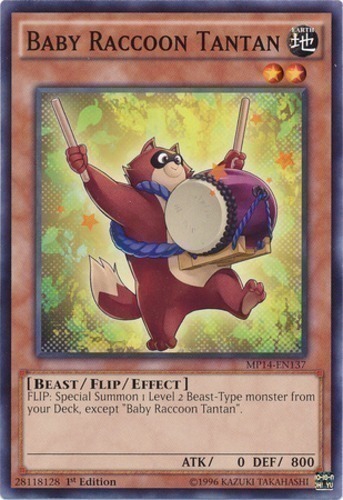 FLIP: Special Summon 1 Level 2 Beast-Type monster from your Deck, except "Baby Raccoon Tantan". 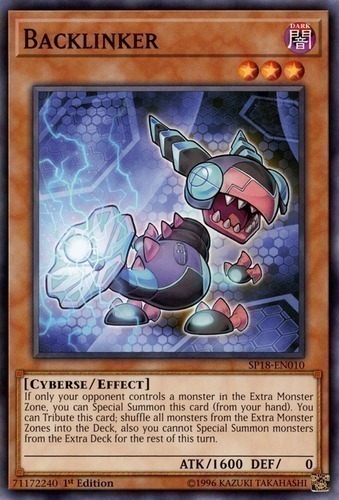 During your Main Phase 1: You can detach 1 Xyz Material from this card, then target 1 Level 1 monster you control; it can attack your opponent directly. 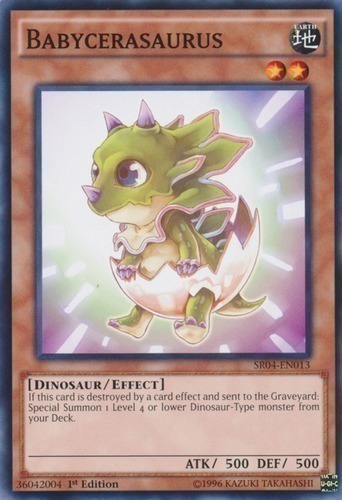 If this card is destroyed by a card effect and sent to the Graveyard: Special Summon 1 Level 4 or lower Dinosaur-Type monster from your Deck. 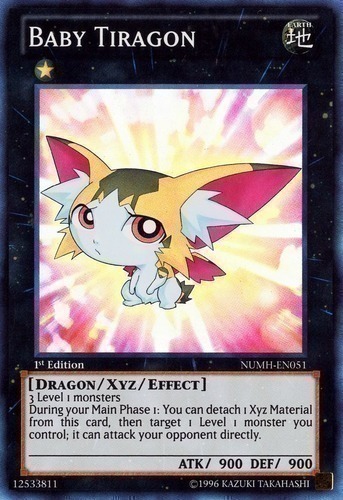 An Xyz Monster that was Summoned using this card on the field as Xyz Material gains this effect. 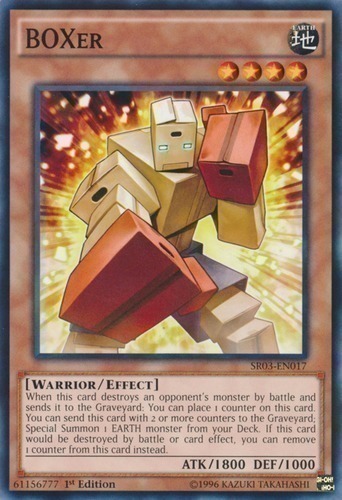 ● If this card attacks a Defense Position monster, inflict piercing battle damage to your opponent. 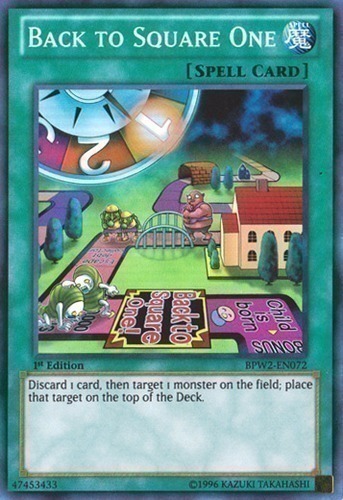 Discard 1 card, then target 1 monster on the field; place that target on the top of the Deck. 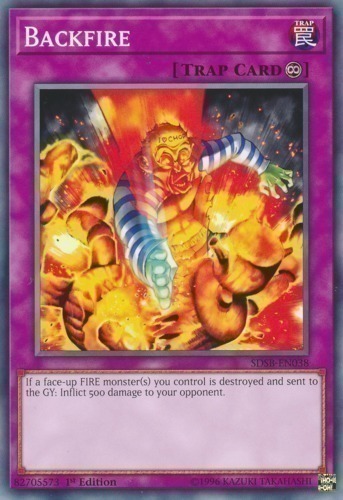 If a face-up FIRE monster(s) you control is destroyed and sent to the GY: Inflict 500 damage to your opponent. 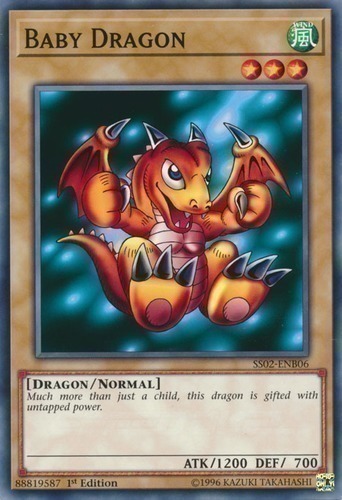 If this card is in the GY and you control no cards: You can Special Summon both this card, and 1 Level 4 or lower Dragon monster from your hand, in Defense Position, but banish this card when it leaves the field. You can only use this effect of "Background Dragon" once per turn.